Pre-Form abutment blanks are made of high quality Grade 5 titanium and are available for the most popular implant systems. 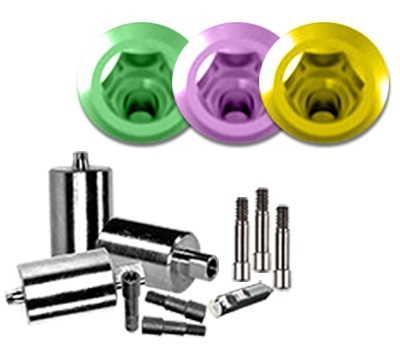 System components include; groove indexed lab analog's, milling screws, abutment screws and abutment fixture grips for use in our versatile 6-position abutment fixture. 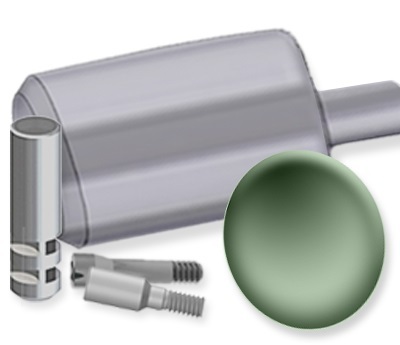 The latest version of our NT-Abutment cartridge for the VersaMILL 5X introduces many advantages and improvements over standard products. 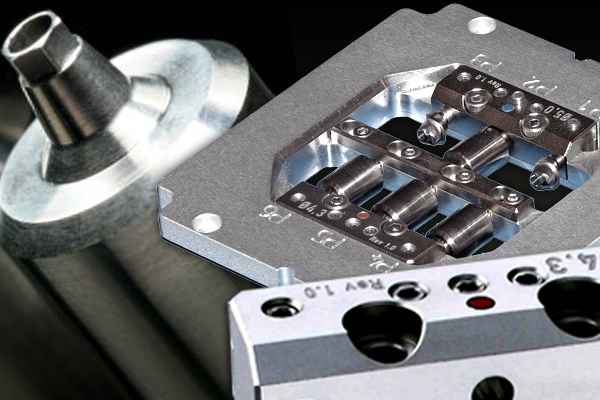 Our abutment manufacturing system utilizes the same base fixture utilized for zirconia cartridges. This time and money saving approach, coupled with the ability to easily swap between the VersaMILL’s dual coolant tanks makes transitioning between machining titanium abutment blanks and zirconia easier than ever. The abutment cartridge mounts directly into the standard VersaMILL 5X fixture so there is no need for technicians to go through a complicated and lengthy calibration routine. NT-Trading R-Series Pre-Milled Grade 5 Titanium Blanks.